Two more pairs of vintage shoes. Just two pairs. Which might be a lot of shoes to people with one pair of shoes. I have obviously more than a few pairs of shoes. I won’t reveal how many pairs of shoes I have because you might see it as a problem. You might become concerned. And then call for an intervention. An online intervention. And that would be awkward since I probably don’t know you. BUT I AM FINE. I am not hurting anyone. I can stop anytime I want to. I am not as bad as others. Look at askandyaboutclothes. That guy has an Alden addiction. Alden Shell Cordovan. DO YOU KNOW WHAT THAT MEANS? Anyway, these are the last pairs! I swear. Hopefully. 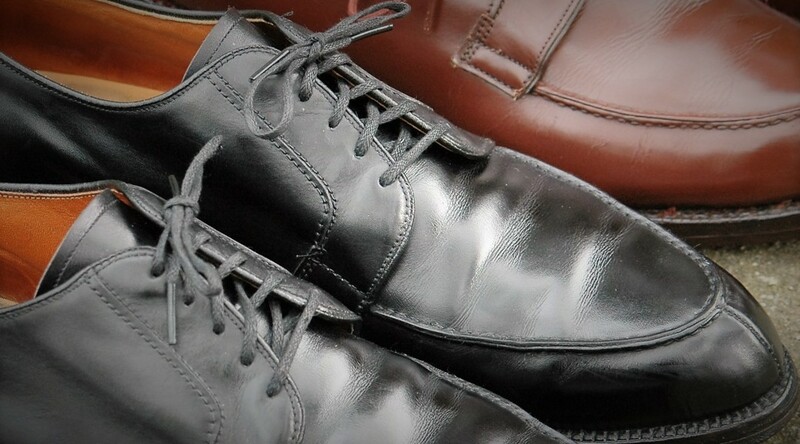 These “last” pairs of shoes are the Algonquin model from Nettleton. 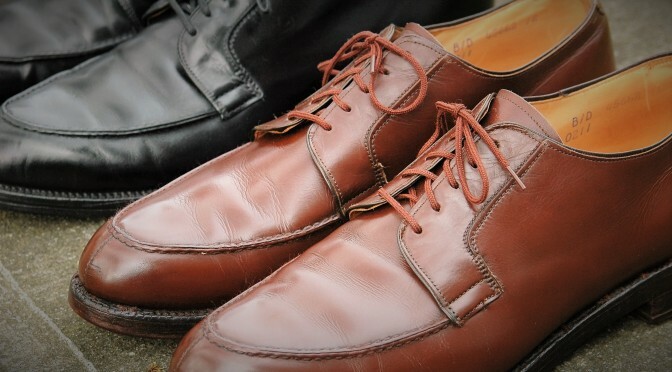 A brown pair (model 0211) and a black pair (model 0136). “Traditionals” was Nettleton’s premium line of shoes. 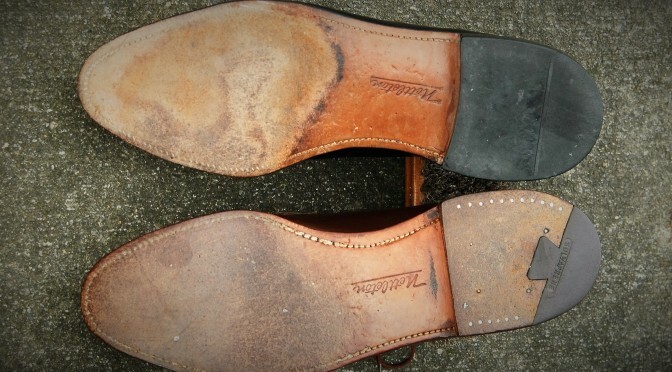 A few posts ago, I wrote about restoring the brown pair. 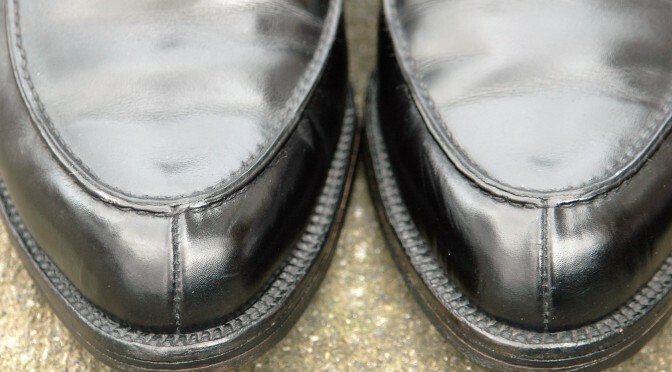 The black pair was another eBay purchase and were in better condition than the brown pair but not by much. I remember buying the black pair because I told myself weeks before, “don’t buy anymore f*ckin black shoes”. But I did. And here they are. The shoe has a fairly sleek design for a blucher and it reminds me of the Allen Edmonds Delray. I have seen a number of Algonquin listings in a few types of leather including pebble grain and exotics such as alligator and shark skin. I have not seen a shell cordovan version although I have to believe one exists. According to this article on the history of Nettleton, the Algonquin was one of Nettleton’s most popular models. This split toe style may have been the Adidas Yeezy Boost of the 1960s but it is no longer popular. 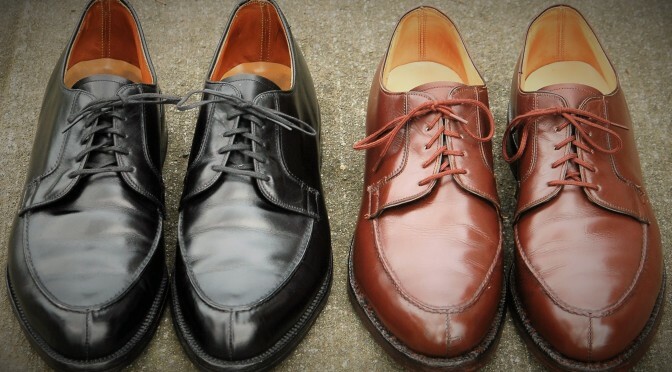 I looked at Allen Edmonds and of the 100+ models they offer, only four are split toes. Alden still makes a number of split toe models but I assume their volumes are much less than AE. At work, I asked for opinions on the shoe style and one coworker said they were “kind of pointy”. Another said they looked like “cop shoes”. Maybe they wore Algonquins on Adam 12. I have worn the shoes a number of times and they feel true to size. 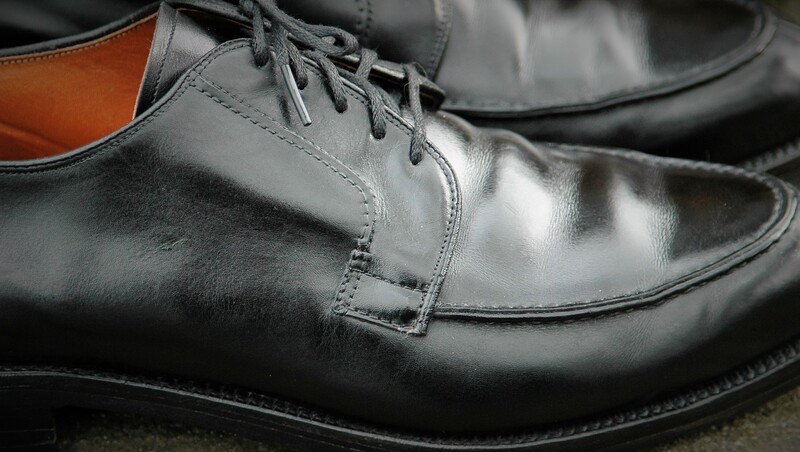 The calfskin leather is nice and buttery soft. The construction quality is good but not better than an Alden or Florsheim Imperial. I would give the shoes a “B-” for comfort. Unlike a Yeezy Boost, the footbed doesn’t feel like it has much cushion (and check out my vintage Yeezy Boost review in 30 years (mark your calendar)). If you search and wait (and wait some more), you can probably find a pair on eBay in your size. There are eight currently for sale on eBay. It took me about a year to find a pair in my size. For about six months though I had to look at one awesome deadstock pair which was my length but AA width. If only I was double A, then I would buy all the super narrow shoes that just sit there for sale on eBay month after month. Here was the object of my eBay desire. Nice. 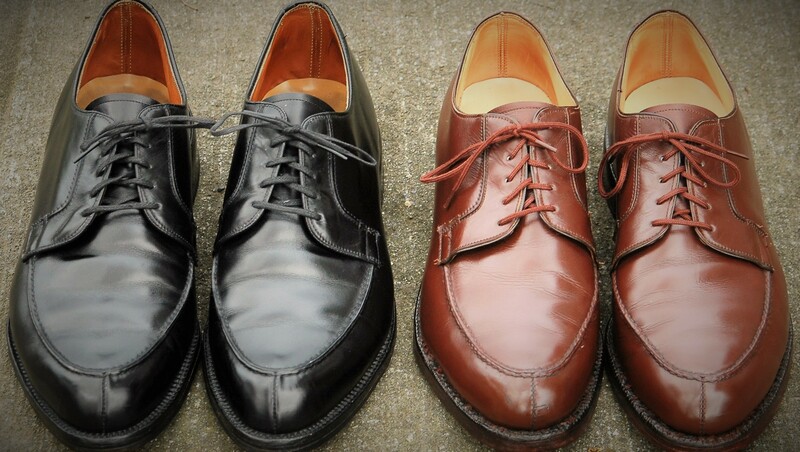 If you like men’s vintage dress shoes (I know you do), the Nettleton Algonquin is definitely a worthy addition to your growing shoe rack.